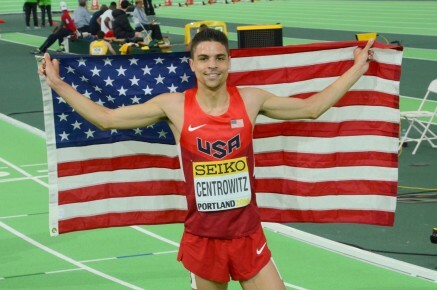 28th January 2017 – Olympic medallists Matthew Centrowitz (USA) and Hellen Obiri (KEN) both made successful starts to the new series of the IAAF World Indoor Tour in Boston. Matthew received a very vociferous welcome from the home crowd as the Olympic 1500m champion was introduced on the start line and he did not disappoint his fans. Tracking the pacemaker through the first 1000m Matthew then took the race on and much like his Olympic final responded to any athlete that tried to pass him before kicking away over the final 200m. His winning time of 3:55.78 was an early 2017 world lead. Just a stride behind was World Indoor finalist Vincent Kibet (KEN) as he took second place in 3:56.09. In a very similar vain, Hellen put herself in the lead of the women’s 3000m main pack after about 600m and was never headed. She controlled the tempo before breaking away over the final 300m to also clock a world leading 8:39.08. World Indoor bronze medallist over the 3000m Shannon Rowbury (USA) finished third here in 8:41.94. Schillonie Calvert-Powell (JAM) made a pleasing start to her indoor campaign with a third place finish of her own in the women’s 60m clocking 7.30. Dina Asher-Smith (GBR) found herself in unfamiliar surroundings as she raced on a specially constructed track that ran through a hardware store in Stockholm! However, this did not distract Dina as she stormed to victory in 7.23 seconds for the 60m. More PACE athletes with be action over the coming weeks as the indoor season continues and the exciting new Nitro series takes place in Australia.